There are so many things to do in Lanzarote. If any of the things listed below float your boat, use our search facility above to find out more about how to do them or where to book them. The only sports we can think of you can’t do in Lanzarote involve snow and ice! Pretty much everything else is on the table. For cyclists, the island is heaven – smooth roads, light traffic, challenging climbs, and for MTBers, some spectacular off road tracks. Of course, being the home of the world’s toughest triathlon, Ironman Lanzarote, we also have many swimming pools, open water swimming and some great tracks and trails to run along. The island has two golf courses – one at Costa Teguise and the other in Puerto del Carmen. For scuba divers, we have amazing diving – ranging from easy, shallow dives to challenging deep water caves, with a few wrecks thrown in for good measure. There are several tennis and padel clubs on the island, and a couple of the hotels have squash courts too. The trade winds that blow here make wind and kite surfing very popular, and Famara is known as “The Hawaii of Europe,” with fabulous waves. Read more on Lanzarote sports. The island has a rich culture – it was on Lanzarote that the first settlers following the Spanish conquest in the 15th Century set up the capital, in Teguise, effectively making it the most historic town in The Canaries. You’ll find many events through the year that celebrate that history, and also commemorate the Guanches, who were the indigenous people of the island. 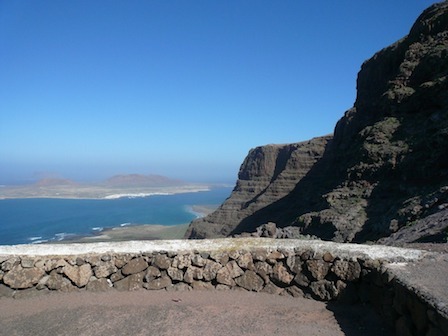 The castle in Teguise and the two in Arrecife are well worth visiting to understand more about the island’s culture, and then there are the main cultural attractions like Monumento Campesino, Jamoes del Agua, Cueva de los Verdes and the cactus gardens. And of course, the island knows how to party – every town and village has a fiesta every year, and carnival in Lanzarote is legendary as it wends it’s way across the island in February and March. Read more about Lanzarote Carnival. With over 3 million visitors from all over the world each year, Lanzarote offers pretty much every style of cuisine you can imagine. At one end of the scale, we have fast food joints – even a McDonalds, a KFC and a burger king, but the local ones are “Asadero de Pollos,” and they cook and sell delicious spit roasted chicken. And at the other end, we have top class fine cuisine restaurants, many in hotels and some stand alone. In between, you’ll find thousands of tapas bars, many of which do a fine value menu del dia. If you like fish, you’ll be in heaven – the abundant Atlantic Ocean gives us super fresh fish every day, and there are so many way it can be cooked. Several of the island’s beaches have Jet Skis you can rent, and you’ll also find parascending, quad treks, buggy rides, karting and horse riding. With the late summer trade winds, hang gliding is really popular here too, and you can even abseil down the island’s only dam! The tracks and trails around the island also really lend themselves to trail running, mountain biking and hiking. As a holiday island, there are so many fun things to do in Lanzarote! You can watch movies in the open air and there are various boats and even a submarine you can sail aboard. We have more than 100 beaches where you can enjoy the golden sand and clear blue water – most of the beaches in the resorts have deck chairs and parasols, and many have “toy’s like pedaloes and Jet Skis you can hire. See dozens of fun things to do here. You can get discounted entry tickets here: Special discount tickets. All the resorts have dozens of “tourist” shops selling everything from cheap tat, to designer clothing. And remember, Lanzarote is duty free, so booze and tobacco products are much cheaper here than in northern Europe. Lanzarote’s largest shopping centre is in Playa Honda and is called Deiland – you can’t miss it as you drive past – it’s near the airport. Puerto del Carmen has the Biosfera shopping centre, Playa Blanca has the Rubicon centre, and Costa Teguise has Las Cucharas. The three marinas on the island, at Arrecife, Puerto Calero and Playa Blanca are also good for shopping. And finally, there are markets all over the island, but the best of them is the famous Teguise Sunday market. You’ll find excursion sellers all over the island, but our advice is to pre book your excursions, to make sure you get the trip you want on the day you want. As you can imagine, there are plenty of ocean based excursions here, and you’ll also find many coach based trips, guided walks, gastronomy experiences and more. You can see them listed here: Lanzarote Excursions. If you still haven’t seen things to do in Lanzarote that suit you, use the search facility above, or get in touch with us and we’ll see if we can suggest something that will work for you. Contact us.